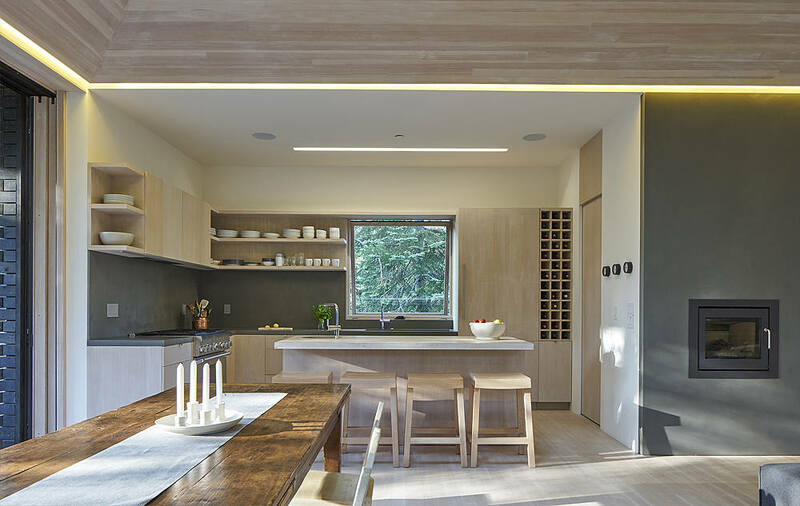 Located in Norden, California, this 3,300 sf single-family residence was designed in 2018 by Mork Ulnes Architects. 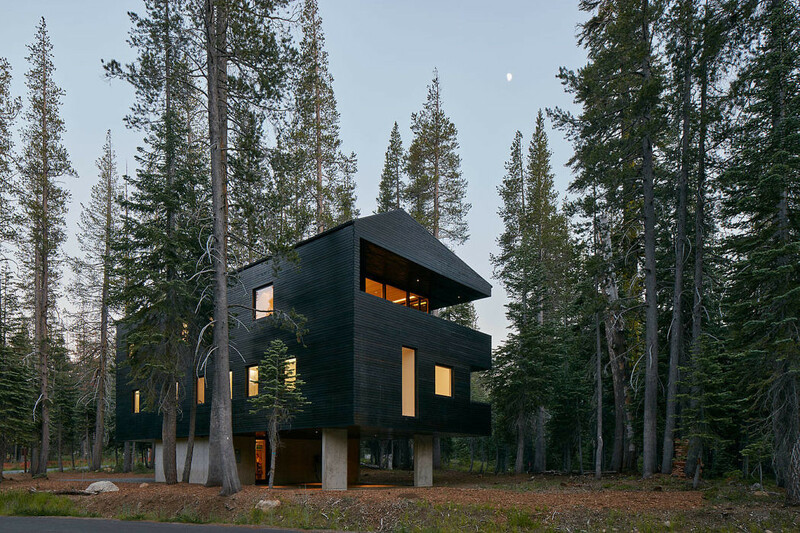 Troll Hus is a 3,300sf single-family residence in Norden, California driven both by the extreme environmental conditions found at a 6,800 foot elevation and a California sensibility of generous indoor-outdoor living. 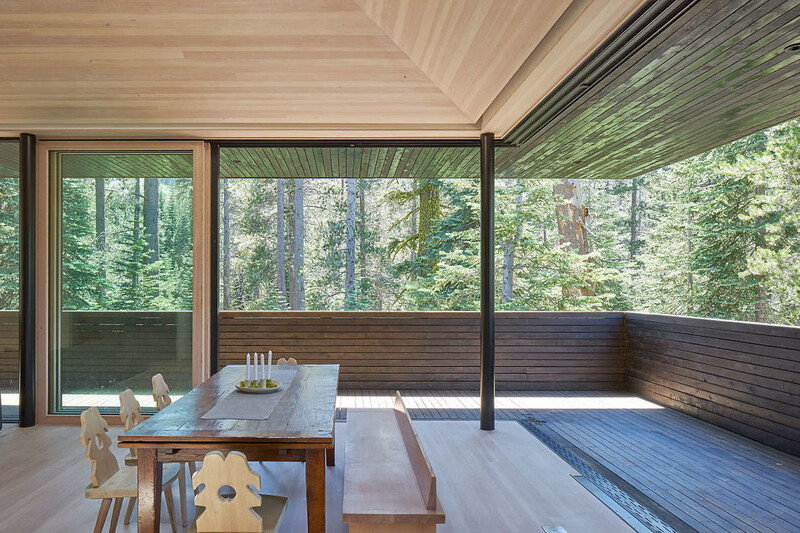 Based on the alpine chalet building type, the house is lifted on concrete legs to protect it from snow in excess of 800 inches a year. 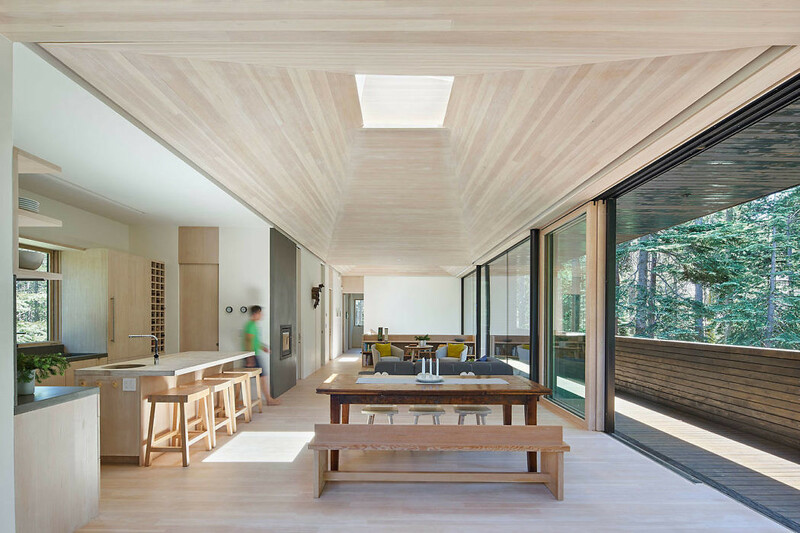 The building’s orientation shields it from prevailing winds while allowing living spaces to open onto glazed south-facing balconies, maximizing solar exposure in the winter and shading the interior in the summer. 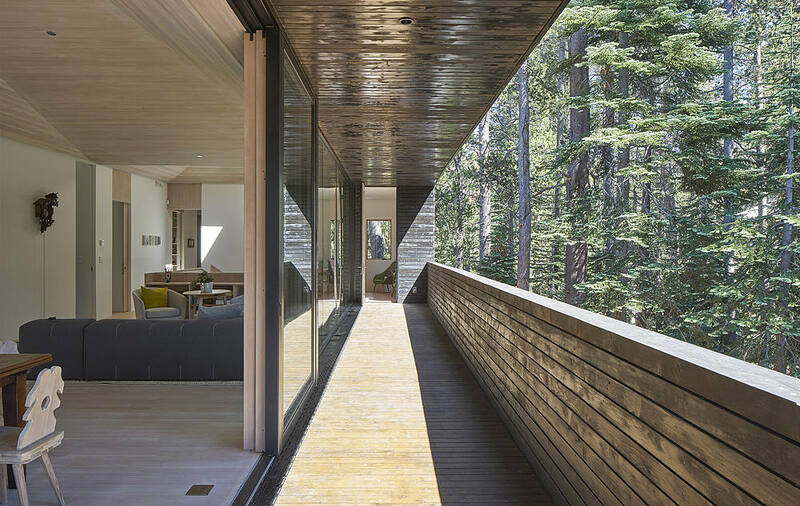 The main living space at the upper level has an open plan configuration below two vaulted ceilings capped with skylights, demarcating two smaller spaces more akin in scale to an alpine cabin. 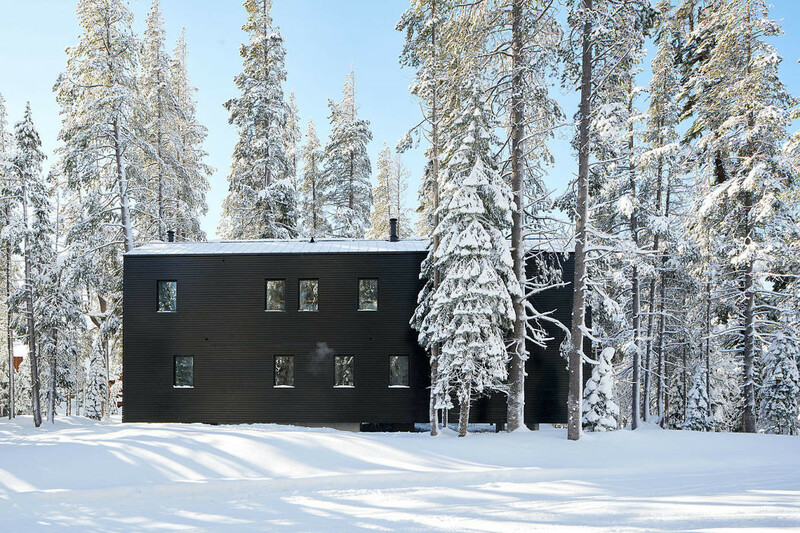 The building is clad in pine tar-treated wood—the same natural, robust cladding found on 1000 year old Norwegian barns—which allows Troll Hus to recede within the canopy of surrounding pines.